Why are we paying for Germany and Japan’s defense? We got lots of problems at home with our country’s finances. Then why are we paying for Germany and Japan’s defense? Harvey Sapolsky is professor emeritus of public policy and organization at MIT. His co-author, Benjamin Friedman, is a research fellow at the Cato Institute. This article appeared in CNN.comon October 31, 2012. A fixture of the presidential race has been Mitt Romney’s 47% problem: Those Americans who don’t pay federal income tax that Romney has described as freeloaders. Of course, Romney has retracted his remark. But if he still wants to attack those who freeload off of U.S. taxpayers, there is a better target: Our wealthy overseas allies. Forty-seven percent is also roughly the U.S. share of global military spending. Our annual $700 billion-plus military budget exceeds the next 10 biggest military budgets combined. Much of that money buys forces needed to defend allies against threats they could afford to meet themselves. Alliances that once served the U.S. national interest have become a subsidy to rich allies. In a recent foreign policy speech, Romney noted that only three of the 28 NATO allies meet their commitment to spend 2% of their GDP on defense. He promises to fix that by asking our allies to honor their commitment to security spending. As long as the United States bears the lion’s share of global defenses, our allies have little incentive to do more. But the Europeans have grown adept at keeping a straight face while ignoring such lectures. If Romney wants them to do more, he should suggest giving them less — a logic he appreciates in domestic contexts. The same would apply to the Japanese, South Koreans and various others we defend. Some allies, especially in Asia, might increase military spending. Others, noting less danger and bulging debts, may not. Washington is not the best judge of others’ needs. But with fewer commitments, we can maintain fewer forces and lower future military costs, which means more savings for U.S. taxpayers. As we saw in Libya in 2011, the U.S. Air Force enabled NATO’s intervention by providing air refueling, intelligence and precision strike capability. Our combat-tested Army and Marine Corps are the envy of their counterparts around the world, many of whom they train. Our special operations forces track terrorists everywhere. Romney complains that our Navy has fewer ships than before World War I but fails to mention that it is far bigger than any other fleet and is the police force of the global seas. Romney has insisted that U.S. exceptionalism compels us to steady alliances, settle regional disputes and forcefully promote democracy everywhere. But he has reversed the idea of U.S. exceptionalism. Early American leaders thought that the nation’s virtue lay in liberal values and the example America sets. For them, U.S. exceptionalism had nothing to do with military adventurism. Permanent allies might drag us into others’ disputes, imperiling liberalism by centralizing power in the presidency and requiring a massive military establishment. Similar worries encouraged President Eisenhower’s push to keep our commitments to allies temporary. In 1953, Western Europe and Japan were still recovering from World War II and South Korea, with our help, was still fighting the North and its Chinese allies. U.S. commitments to defend those nations came from fear that the Soviet Union would capitalize on their weakness, through conquest or internal intrigue, and gather enough strength to threaten us directly. Those allies long ago grew rich enough to defend themselves, and the Soviet Union has been history for decades. The European Union collectively has a population and economy larger than ours. But while Americans spend about $2,700 per capita annually on the military, NATO allies average around $500. More than 20 years after the end of the Cold War, Europeans sit in cafes while over 80,000 American service personnel still help guard Europe against Russia, which now has a GDP around the size of Spain and Portugal combined. Sixty years after the end of Korean War, nearly 30,000 American forces still shield the South against a Northern neighbor with a 25th of its wealth and half its population. We have almost 50,000 troops in Japan almost 70 years after its surrender. Japan spends only about 1% of its GDP on its military, provides no troops to help stabilize Afghanistan, but insists that U.S. Marines defend their every rocky island in a possible dispute with China. Romney still has time to change his mind on this issue. Rather than lecturing our allies about their responsibilities, we should kick them off the dole, rescinding commitments to their defense and removing troops from their shores. This is a problem that any president faces, including President Obama. But Romney may make the problem worse through his proposed increase in military spending. If that seems chintzy, remember that there is virtue in economy and that we have needier causes at home, starting with the deficit. That tack might also prove politically useful: polls show that Americans would prefer to do less for rich allies. And foreign freeloaders can’t vote. Arkansas is hoping for a top notch recruiter for the next coach. Will we get one? As much as recruiting seems to excite every college football fan base, including Arkansas’, one would have expected a lot bigger crowd to show up for Tom Lemming’s talk at the Little Rock Touchdown Club. Surely if Arkansas Athletic Director Jeff Long can pack the Embassy Suites ballroom and say nothing, Lemming ought to draw the same because he said plenty. Like others before him, Lemming said Jeff Long had a huge job ahead in hiring the right guy as the Razorbacks’ next football coach, but he rattled off a list of familiar names who are both top coaches and excellent recruiters that he felt could fill the bill and restore the Hogs to the lofty position Bobby Petrino had the program in 2010-11. “I’ll be able to tell you when Arkansas hires a new coach if he’s going to be able to win. I mean, they’re going to win but I’ll tell you if they’re going to win a national title or not or not by his history of recruiting,” Lemming said. Of some of the names linked over the past few months with the Arkansas job, Louisville’s Charlie Strong is a good recruiter and coach, while Iowa State’s Paul Rhoads “is an excellent recuiter and coach,” Lemming said. Alabama’s Nick Saban apparently is the coaching standard in which all others are measured because he not only recruits well but also develops his players, Lemming noted. And, if an athletic director such as Long is looking for the best recruiter and coach available, take note of that prospect’s hobbies. Lemming has been following recruiting since the 1970s, when he made almost nothing while traveling 65,000 miles a year to interview high school players and drum up interest for a newsletter. Eventually, USA Today brought Lemming to a national audience. In more recent years, Lemming was the key force behind several national recruiting sites and helped start postseason prep all-star games such as the U.S. Army-sponsored event in San Antonio in early January, which has been carried for almost a decade by NBC. Now, he leads the Semper Fi postseason game. But maybe what brought Lemming the most fame was an appearance in the movie “The Blind Side,” in which he played himself. He was the recruiting expert who first brought Michael Oher’s name to a national following while the future NFL offensive tackle played for Hugh Freeze at Memphis Briarcrest Christian School. Lemming jokes that while he got to know the actor who played Oher in the movie, he still hasn’t had an in-depth conversation with the real Oher. When they first met, Oher wouldn’t raise his head to to speak and didn’t fill out a questionnaire. It was only after that meeting that Lemming found out from Freeze about Oher’s troubled Memphis background and that he could not read or write. Other coaches that recruit, like Alabama’s Saban these days, Lemming said, are Miami’s Al Golden and Ohio State’s Urban Meyer, to name two. Lemming also fielded a club member’s question about the various strengths of five candidates linked to the Arkansas job. As for Arkansas’ recently departed head coach, Petrino, who continues to be in the conversation for possible openings at Auburn and Tennessee and elsewhere, Lemming said, “As a coach he’s one of the best. As a recruiter I don’t know if he golfs [laughing] … I don’t think he would be one of the guys spending a lot of time talking to juniors all year long like Saban, Urban Meyer. Arkansas’ next coach needs strong ties, or needs to hire an assistant coach with significant connections, to recruit the Dallas-Fort Worth area, Lemming said. Dan Mitchell’s article and the video from his organization takes a hard look at President Obama’s tax record. Even though he promised to bring Americans together, President Obama has used class-warfare tax policy to persecute and demonize successful entrepreneurs and investors. This mini-documentary from the Center for Freedom and Prosperity Foundation explains why the tax code shouldn’t be used for anything other than fairly and neutrally collecting a minimum amount of revenue to fund the legitimate functions of the federal government. 1. The rich already pay a disproportionate share of the total tax burden – The video explains that the top-20 percent of income earners pay more than 67 percent of all federal taxes even though they earn only about 50 percent of total income. And, as I’ve explained, it would be very difficult to squeeze that much more money from them. 2. There aren’t enough rich people to fund big government – The video explains that stealing every penny from every millionaire would run the federal government for only three months. And it also makes the very wise observation that this would be a one-time bit of pillaging since rich people would quickly learn not to earn and report so much income. We learned in the 1980s that the best way to soak the rich is by putting a stop to confiscatory tax rates. 3. The high cost of the death tax – I don’t like double taxation, but the death tax is usually triple taxation and that makes a bad tax even worse. Especially since the tax causes the liquidation of private capital, thus putting downward pressure on wages. And even though the tax doesn’t collect much revenue, it probably does result in some upward pressure on government spending, thus augmenting the damage. 4. High taxes on the rich are a precursor to higher taxes on everyone else – This is a point I have made on several occasions, including just yesterday. I’m particularly concerned that the politicians in Washington will boost income tax rates for everybody, then decide that even more money is needed and impose a value-added tax. I wish Romney had reworded his comment on the 47%. I wish Romney had reworded his comment on the 47%. It is true that our country is getting too dependent on the government, but it could have been handled differently. Yes, we have almost half of households not paying federal income tax, and I recognize that there’s a risk on an unhealthy political dynamic if people begin to think they get government for free, but those people are not necessarily looking for freebies from government. Far from it. Many of them have private sector jobs and believe in self reliance and individual responsibility. Or they’re students, retirees, or others who don’t happen to have enough income to pay taxes, but definitely don’t see themselves as wards of the state. If Romney wanted to be more accurate, he should have cited the share of households receiving goodies from the government. That number also is approaching 50 percent and it probably is much more correlated with the group of people in the country who see the state as a means of living off their fellow citizens. But even that correlation is likely to be very imprecise since some government beneficiaries – such as Social Security recipients – spent their lives in the private sector and are taking benefits simply because they had no choice but to participate in the system. Moreover, there are some people who pay tax and don’t receive programmatic benefits, yet are part of the proverbial moocher class. Many government bureaucrats obviously would be on that list, as would some union members, trial lawyers, etc. However, even though Romney picked the wrong statistic and overstated the implications, he indirectly stumbled on a key issue. As seen in both BIS and OECD data, the U.S. is at risk of Greek-style fiscal chaos at some point in the not-too-distant future because of a rising burden of government spending. I have no idea what share of the population today actually is part of the dependency class that Mitt Romney inarticulately described, but I don’t think I’m going out on limb to say that it has grown during the Bush-Obama years and it will continue to expand. If we want to maintain American exceptionalism (both in theory and reality), it would be a very good idea to figure out how to avoid having more people trapped in lives of government dependency. P.S. Here are two amusing cartoons about the dependency mindset, a great Chuck Asay cartoon showing what happens when there’s nothing left to steal, as well as the famous riding-in-the-wagon cartoons produced by a former Cato intern. With just 21 days to go until the presidential election in the United States, President Obama and his challenger Governor Romney meet for their second debate at Hofstra University in Hempstead, New York. In the second presidential debate which I watched on 10-18-12, I was very sad that the administration did not come out in the first week and say that this was a terrorist attack instead of talking about a youtube video that HAD NO PLACE IN THE CONVERSATION SINCE THIS WAS A PLANNED ATTACK!!!!! I don’t understand why you talked about this youtube video for about two weeks and I am hoping you will respond to this letter or I am going to keep writing you about this till you do. “The Libyan operation was sold as a mission on behalf of human rights of an aggrieved people. It ended with a U.S. partner murdered by a wild-eyed Islamist mob, the rise of al Qaeda and other terrorist and militia groups, and an emerging violently anti-American Islamist regime. If that’s what Obama had intended all along, then his motives for the Libyan war were sinister. If it wasn’t what he intended, then his policy has been an abject failure, with U.S. interests far more threatened than they had been before. was not a surprise. And yet, the Obama Team’s lies about the terrorist attack in Benghazi have flowed relentlessly since it occurred on September 11. Their lies: It wasn’t a “pre-planned, pre-meditated attack.” It was some sort of “mob action” that got out of control. It was provoked by an obscure video. They didn’t see it coming. affiliates had attacked our consulate there repeatedly and attempted to assassinate the British ambassador. The pattern of planned terror attacks was well-known. The new head of al Qaeda, Ayman al-Zawahiri, had called for attacks on U.S. interests in Libya after a drone strike had killed a top Libyan al Qaeda operative. Our now-dead Ambassador to Libya, Christopher Stevens, and his team had repeatedly reported the escalating violence and had repeatedly requested more security. They were denied. They were even denied in death, because as we now know, the White House and intelligence agencies were made aware of the attack that killed him IN REAL TIME, AS IT WAS HAPPENING…..AND THEY DID NOTHING. NOTHING. We even had a drone overhead monitoring and reporting the attack, and still they did NOTHING. They waited seven hours before they moved. terrorist attack. They KNEW it wasn’t a mob action gone awry. They KNEW it had nothing to do with some obscure video. the U.S. government had nothing to do with the video. White House Press Secretary Jay Carney was sent out to perpetuate the lie. Four Americans are dead: our Ambassador, two former Navy SEALs, and a longtime foreign service officer. Obama and his team DID NOTHING while our compound was under attack and our fellow Americans were being slaughtered. Then they spent weeks lying about it. And all of these professional liars still have their jobs. Incredible. To add even more outrage to the mountain of lies, Obama and his team of liars went to sleep that night not knowing the location of our Ambassador or whether he was alive or dead. And the next day, even after he knew that Stevens had been killed, Obama jetted off for a fundraiser. Vegas, baby. weapons to al Qaeda? Is that what he’s actually trying to cover up? Hello, reporters??). Did the Commander-in-Chief allow his personal representative in Libya and three others to die needlessly? What did he know and when did he know it? Follow the money. These three emails are the smoking gun. This is the stained blue dress. Stick a fork in Obama, because he’s done. Why can’t we get an apology from the President concerning Libya? Francis Schaeffer discussed modern films and how they showed the state of man. That is why I like Woody Allen’s films so much. He knows what the big issues are in life and even though he present the right answers he does grapple with the right questions. Michelangelo Antonioni heavily influenced Allen and below is a picture from one of his best well known films. Blow-Up (1966). Michelangelo Antonioni created waves with his first English-language film when he turned his camera on swinging London as personified by a cocky fashion photographer (David Hemmings) who believes his lens has accidentally captured a murder. Let’s remember Francis Schaeffer’s most crucial legacy–tears. John FischerMarch 19, 2007He was a small man—barely five feet in his knickers, knee socks, and ballooning white shirts. For two weeks, first as a freshman and then again as a senior, I sat in my assigned seat at Wheaton College’s chapel and heard him cry. He was the evangelical conscience at the end of the 20th century, weeping over a world that most of his peers dismissed as not worth saving, except to rescue a few souls in the doomed planet’s waning hours. While Hal Lindsey was disseminating an exit strategy in The Late Great Planet Earth, Francis Schaeffer was trying to understand and care for people still trapped on the planet in The God Who Is There.Francis Schaeffer was hard to listen to. His voice grated. It was a high-pitched scream that, when mixed with his eastern Pennsylvania accent, sounded something like Elmer Fudd on speed. As freshmen, unfamiliar with the thought and works of modern man, we thought it was funny. As seniors, it wasn’t funny any more. After we had studied Kant, Hegel, Sartre, and Camus, the voice sounded more like an existential shriek. If Edvard Munch’s The Scream had a voice, it would have sounded like Francis Schaeffer. Schaeffer, who died in 1984, understood the existential cry of humanity trapped in a prison of its own making. He was the closest thing to a “man of sorrows” I have seen. I grew up with a Christianity that was predisposed against sorrow. To be sad was to deny your faith or your salvation. Jesus had made us happy, and we had an obligation to always show that happiness. Then Francis Schaeffer came along. He could not allow himself to be happy when most of the world was desperately lost and he knew why. He was the first Christian I found who could embrace faith and the despair of a lost humanity at the same time. Though he had been found, he still knew what it was to be lost. How different from the perception of conservative Christians held by so many people today! Today, the Religious Right is caricatured in society as a theocratic movement with no concern for the poor and downtrodden. Of course, such an ugly stereotype, presented as fact in a spate of pre-election books ranging from American Theocracy to Thy Kingdom Come, overlooks crisis pregnancy centers, humanitarian work, and generous giving to causes sacred and secular by members of the Christian Right. However, like most stereotypes, this one of politically engaged conservative Christians contains a painful element of truth. Too often we confuse our agendas with God’s agenda and demonize our opponents in a desperate attempt to score political points. What’s ironic is that many of today’s culture warriors look to Schaeffer as the man who fired the first shot. Yes, in two of Schaeffer’s later works, How Should We Then Live? (1976) and A Christian Manifesto (1981), he took a strong stand against abortion and euthanasia and even called for serious measures, including political intervention, to stop what he saw as impending cultural suicide. But to conclude that this invocation to war was Schaeffer’s crowning achievement is to truncate the man and his work. Though his last words may have resounded like a battle cry to the next generation of Christians locked in a culture war, everything leading up to them said something else. Schaeffer’s work is ultimately not a call to arms, but a call to care. Those who have taken up arms and claimed him as their champion have gotten only part of his message. Schaeffer never meant for Christians to take a combative stance in society without first experiencing empathy for the human predicament that brought us to this place. Those who go back only as far as A Christian Manifesto—without also understanding Escape from Reason (1968), The God Who Is There (1968), and Death in the City (1970)—are doing Schaeffer’s life and work a great disservice. The later Schaeffer cannot be divorced from the former. Schaeffer was the first Christian leader who taught me to weep over the world instead of judging it. Schaeffer modeled a caring and thoughtful engagement with the history of philosophy and its influence through movies, novels, plays, music, and art. Schaeffer was teaching at Wheaton College about the existential dilemma expressed in Michelangelo Antonioni’s 1966 film, Blowup, when movies were still forbidden to students. He didn’t bat an eye. He ignored our legalism and went on teaching, because he had been personally gripped by the desperation of such cultural statements. Death in the City is the book of Lamentations in the Old Testament applied to America. It is all about weeping over the death of a culture. Schaeffer saw the most brilliant thinkers and artists of his day as trapped under what he called a line of despair—in a lower-story hopelessness without any access to upper-story revelation. Schaeffer taught his followers not to sneer at or dismiss the dissonance in modern art. He showed how these artists were merely expressing the outcome of the presuppositions of the modern era that did away with God and put all conclusions on a strictly human, rational level. Instead of shaking our heads at a depressing, dark, abstract work of art, the true Christian reaction should be to weep for the lost person who created it. Schaeffer was a rare Christian leader who advocated understanding and empathizing with non-Christians instead of taking issue with them. Francis Schaeffer was not afraid to ask why, and he did not rest until he had an answer. Why are our most brilliant thinkers in despair? Why is our art so dark? Why have abortion and euthanasia become so easy on the conscience of a generation? What process of thinking has led to this ultimate denial of the value of human life? Though some may disagree with his answers, no one can gainsay the passion with which he sought them. The normal human reaction is to hate what we don’t understand. This is the stuff of prejudice and the cause of hate crimes and escalating social evil. It is much more Christ-like to identify with those we don’t understand—to discover why people do what they do, because we care about them, even if they are our ideological enemies. Jesus asked us to love our enemies. Part of loving is learning to understand. Too few Christians today seek to understand why their enemies think in ways that we find abhorrent. Too many of us are too busy bashing feminists, secular humanists, gay activists, and political liberals to consider why they believe what they do. It’s difficult to sympathize with people we see as threats to our children and our neighborhoods. It’s hard to weep over those whom we have declared enemies. Perhaps a good beginning would be to more fully grasp the depravity of our own souls and the depth to which God’s grace had to go to reach us. I doubt we can cry over the world if we’ve never cried over ourselves. To be sure, Francis Schaeffer’s influence has declined in recent years, as postmodernism has supplanted the modernity he dissected for so long. Schaeffer is not without his critics, even among Christians. But perhaps, in the end, his greatest influence on the church will not be his words as much as his tears. The same things that made Francis Schaeffer cry in his day should make us cry in ours. Singer-songwriter John Fischer has recorded 12 albums and is the author of 15 books. The Francis A. Schaeffer Foundation was founded to advance the availability of Schaeffer’s ideas. His letters are available on their site. The Shelter, another site dedicated to Schaeffer’s work, has a list of his books, photos, and links to other relevant sites. Covenant Seminary’s Francis Schaeffer Institute offers course materials in pdf and audio form about Schaeffer in his early and late years. Where were all the Democrats in 2004 that were upset about a rich candidate for President? Did you know that President Obama is responsible for the loss of more U.S. jobs than any other person? Did you know that Sen. John F. Kerry and his wife are three to four times as rich as Mitt and Ann Romney, according to the New York Times, yet paid a lower tax rate than the Romneys in 2003, the year before Mr. Kerry ran for president? Do you know how to lower your tax rate? Read on. Mr. Romney is being criticized in the mainstream media for having paid just about 14 percent of his income in federal income taxes and having some of his money in places like Switzerland and Cayman (even though he appears to have paid all of the taxes on interest and dividends that were due to the United States). Yet, eight years ago, when the far richer Mr. Kerry and his wife paid a slightly lower tax rate and also had their money dispersed globally, as sensible rich people do, they were lauded by many of the same folks who are now in a tizzy about Mr. Romney’s finances. Note: Mr. Kerry’s wife inherited her money, while Mr. Romney earned his by building real businesses. Rich people usually employ others to manage their money. Presidents and presidential candidates put their money in blind trusts, as have Mr. Romney and Mr. Obama. When people hire money managers, they expect them to make the highest after-tax returns commensurate with the level of safety those people desire, and the managers have a fiduciary responsibility to do so. Diversification, by type of investment (stock, bonds and real estate) and by geography, is considered prudent financial management. Mr. Romney’s opponents are asking why anyone needs a Swiss bank account (except for the rich Democrats who have them). Three reasons come to mind: safety, better returns and better service. When Mr. Obama took office, the Swiss franc, in dollar terms, was about 20 percent cheaper than it is today and almost 50 percent cheaper than 10 years ago. Some of the Swiss private banks have been around for more than 200 years and are managed prudently because the owners are totally at risk (unlike U.S. banks). Alas, ordinary Americans are being prevented from protecting themselves from U.S. economic mismanagement by having Swiss and other foreign bank accounts because of new Internal Revenue Service regulations. Some, such as the Foreign Account Tax Compliance Act (FATCA), are so costly and complex that foreign institutions increasingly are refusing to open accounts for Americans. (Note: Sen. Carl Levin, Michigan Democrat, is the primary proponent of these destructive and oppressive regulations. He demands transparency for everyone else’s financial accounts, but he is one of the senators who has refused to release his own tax returns.) The attacks on Switzerland by the Obama campaign in its attempts to stigmatize Mr. Romney have become so vicious and inaccurate that the Swiss government has protested. The Gawker Media Group hit Mr. Romney last week by “exposing” that some of the funds in which he had invested were registered in the Cayman Islands, and some of those funds had been invested in companies that had gambling and other such allegedly naughty but legal operations. It then was uncovered by an enterprising financial blogger that Gawker Media Group Inc. was a Cayman Islands company. If you own mutual funds, there is a high probability that some of them will be registered in Cayman, which has more funds than any other jurisdiction because of regulatory efficiency, not tax evasion. I expect that almost every major media company — including the owners of MSNBC — has some of its legal entities in Cayman. I also expect that most people who own mutual funds — including Mr. Obama and Mr. Romney — have no idea about all of the activities of the businesses in which the funds invest. The United States has the highest corporate tax rate in the world at 35 percent, which puts U.S. companies at a competitive disadvantage with other countries that have lower rates (e.g. Canada at 15 percent, Ireland at 12 percent, Bulgaria at 10 percent and so on). As a result, U.S. companies are forced to move some of their operations into other countries in order to remain competitive. If they bring the profits back to the United States, they are taxed at the full U.S. rate. 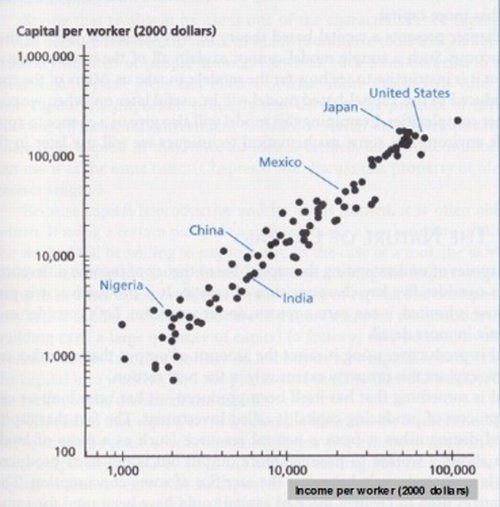 So Mr. Obama and others who resist allowing companies to bring back the money to the U.S. at a lower rate are basically forcing them to invest their profits and create jobs outside America. Mr. Levin and other economic know-nothings want to penalize U.S. companies for not bringing their profits back to the United States. Such restrictions would backfire by driving more companies to move their place of incorporation and head offices outside the U.S. The correct solution is to reduce the corporate tax rate to make U.S. businesses internationally competitive. Many people lower their tax rates by donating substantial portions of their incomes to charity, as Mr. Romney does, or buying tax-free state and municipal bonds — even though they provide a lower rate of return than many taxable investments. If you look carefully at those who are attacking “the rich” for not paying high enough tax rates and having some of their money outside the United States, you will find people who are economically ignorant, hypocritical or just making silly arguments. I have posted often about the voucher system and how it would solve our education problems. What we are doing now is not working. 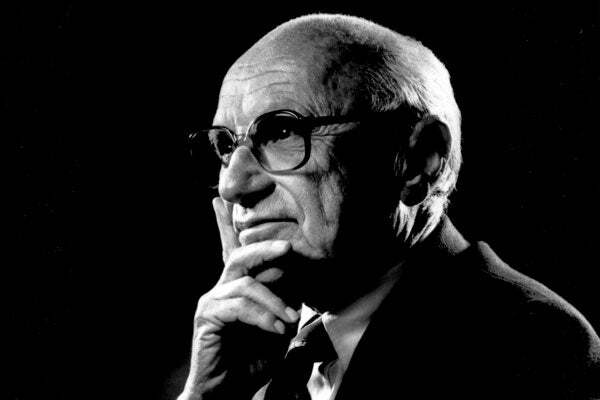 Milton Friedman’s idea of implementing school vouchers was hatched about 50 years ago. Poor families are most affected by this lack of choice. As Friedman noted, “There is no respect in which inhabitants of a low-income neighborhood are so disadvantaged as in the kind of schooling they can get for their children.” It is a sad statement quantified by data on low levels of academic achievement and attainment. Take a look at this article below. 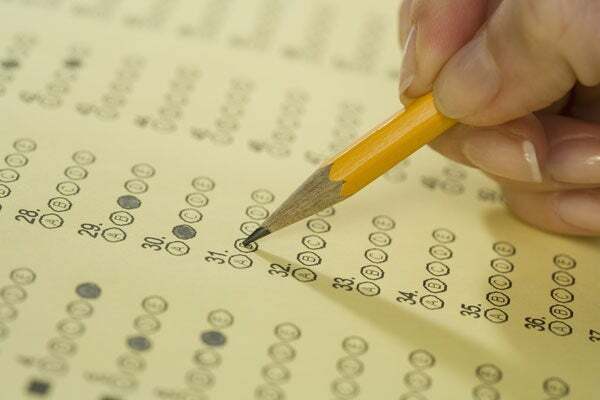 SAT scores among the nation’s test-takers are at a 40-year low. The decline over the decades has been significant. The average reading (verbal) score is down 34 points since 1972. Sadly, the historically low SAT scores are only the latest marker of decline. Graduation rates have been stagnant since the 1970s, reading and math achievement has been virtually flat over the same time period, and American students still rank in the middle of the pack compared to their international peers. On the heels of the news about the SAT score decline, President Obama filmed a segment with NBC’s Education Nation earlier today. The President notably praised the concept of charter schools and pay for performance for teachers. Efforts by the federal government to intervene in preschool, most notably through Head Start, have failed—despite a $160 billion in spending on the program since 1965. And No Child Left Behind is far from “under-resourced.” The $25 billion, 600-page law has been on the receiving end of significant new spending every decade since the original law was first passed nearly half a century ago. Some people think, President Obama gets so much support from the teachers’ unions, he can’t possibly have an honest conversation about what they’re doing right or wrong. Can you really say that teachers’ unions aren’t slowing the pace of reform? Criticizing education unions for standing in the way of reform should not be conflated with criticizing teachers, as the President does in the interview. The unions have blocked reforms such as performance pay and charter schools (which the President supports), have opposed alternative teacher certification that would help mid-career professionals enter the classroom, and have consistently fought the implementation of school choice options for children. If we ever hope to move the needle on student achievement—or see SAT scores turn in the right direction again—we’ll need to implement many of those exact reforms, particularly school choice. And as he has in the past, President Obama stated that his Administration wants to “use evidenced-based approaches and find out what works.” We know what works: giving families choices when it comes to finding schools that best meet their children’s needs. Instead of continuing to call for more spending and more Washington intervention in education, let’s try something new: choice and freedom.